The Kremlin on Monday said it would be "absurd" to suggest Russia was involved in the death of a British woman exposed to the Novichok nerve agent. "We don't know that Russia has been mentioned or associated with this," President Vladimir Putin's spokesman Dmitry Peskov said. "We consider that in any case it would be quite absurd." [post_ads]It was the Kremlin's first reaction to the poisoning of two British citizens exposed to Novichok near Salisbury in England, where former Russian double agent Sergei Skripal and his daughter were poisoned in March. That poisoning sparked a tense diplomatic row between London and Moscow. Peskov added that "we of course very much regret the death of the British citizen." 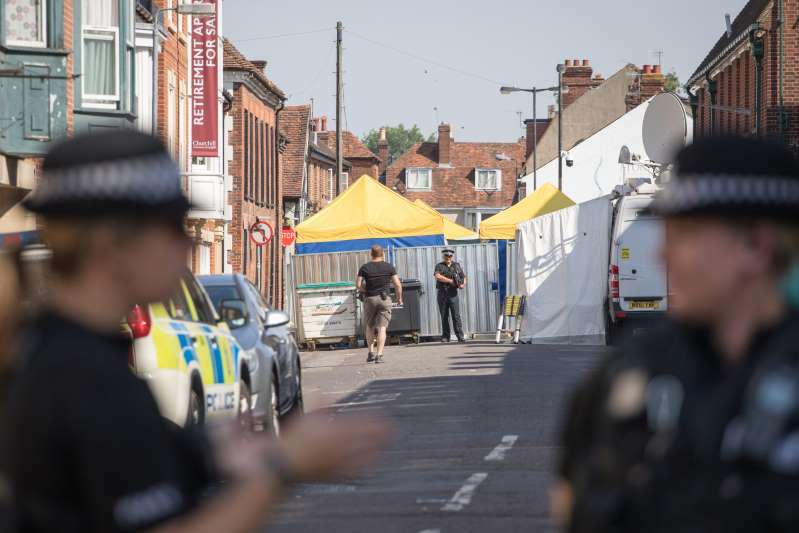 Dawn Sturgess and Charlie Rowley were taken to hospital last weekend from a house in the town of Amesbury, around 12 kilometres (eight miles) from Salisbury, and were found to have been exposed to Novichok. Police announced Sturgess's death on Sunday. Russia is "deeply concerned by the continuing appearance of these poisonous substances on British territory," which "present a danger not just for the British but for all Europeans," Peskov said. Russia has denied any involvement in the poisoning of Skripal and his daughter Yulia with a nerve agent that was developed in the Soviet Union. Putin has said that if a military-grade nerve agent had been used against them, the victims would have died. Peskov on Monday denied a suggestion by Russia's representative to the Organisation for the Prohibition of Chemical Weapons (OPCW) Alexander Shulgin that the incident appeared to be designed to damage preparations for a meeting between Putin and US President Donald Trump in Helsinki this month. "It has nothing to do with the summit," Peskov said. "It's more Britain's problem and the problem of how much Britain is interested in a real investigation."